Myositis is a rare disease that spans many specialties, utilizes many off-label medications and therapies, but can be a challenge to coordinate all of the necessary services. Rare Disease Day 2019 is an opportunity for us to work together to better bridge the health and social aspects of life with a rare disease. See ways to get involved below. 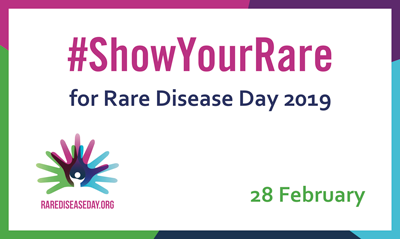 Below are some Hashtag Board and Poster images to help #ShowYourRare. Download, print, fill in the blank – write large with a thick, dark-color marker – and take a photo with it! Get creative and invite others to join in. Share with the organization hosting the event and with us to be shared publicly. 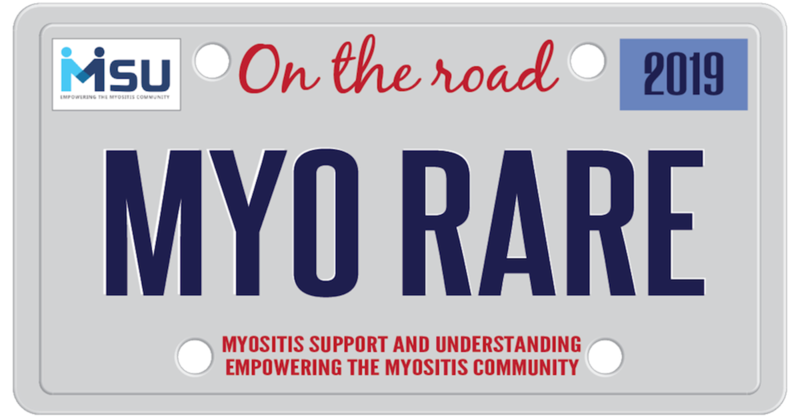 Don’t forget hashtags for myositis including #MyositisLIFE! To download and save the sign, right-click the image below and choose “Save As” or “Save image as” or click the buttons to download. 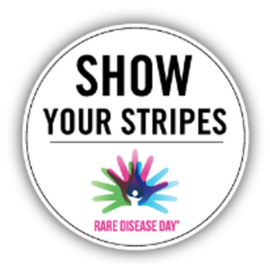 NORD: Wear stripes on Rare Disease Day to show solidarity in rare disease awareness and education, and share in this important message. Share photos, stories and videos of you and your colleagues, friends and families all wearing your stripes together on social media using the hashtags #Showyourstripes and #Rarediseaseday. Share on Facebook, Instagram, Twitter, and other networks with a meaningful caption. Upload your photos here for us to share! Use this Show Your Stripes social media profile frame, as well as stickers, signage and other materials that can be downloaded and printed. See full information using the buttons below. Check out many ways to be creative and Show Your Rare. Paint Your Face with brightly colored face paints. Share your photo on social media with the hashtag board. 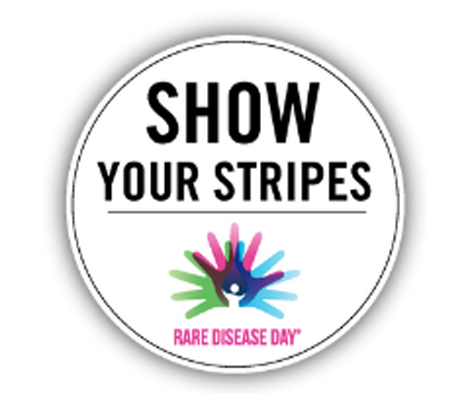 Post with these hashtags, plus your own: #RareDiseaseDay, #ShowYourStripes, #Myositis, #MyositisLIFE. 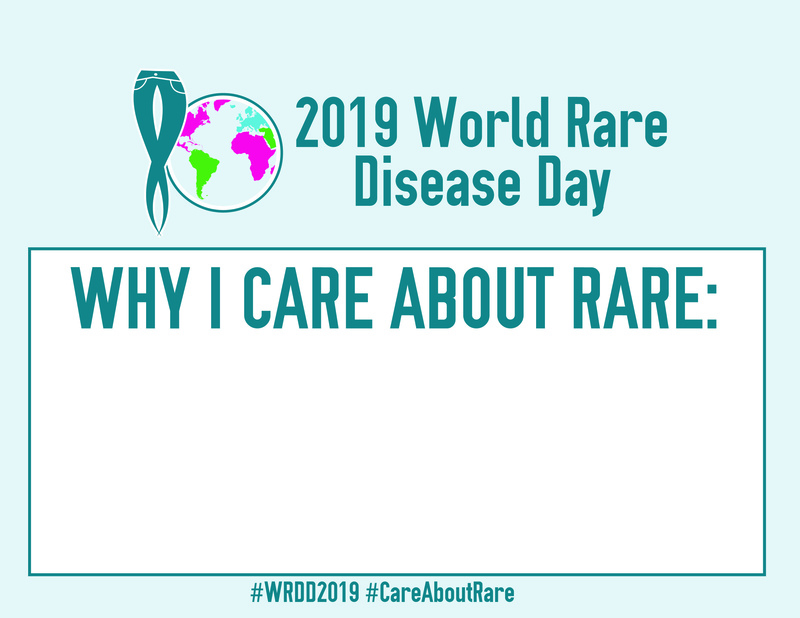 Global Genes – Get involved, 2019 World Rare Disease Day! Share photos, stories and videos of you, your friends and families. Download and print the sign. Fill in why you #careaboutrare and take a “selfie-style” photo. Share the photo on Facebook, Instagram, Twitter, and other sites, to raise rare disease awareness. 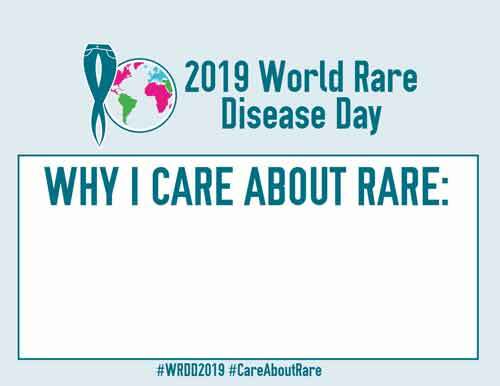 Post with these hashtags, plus your own: #CareAboutRare, #WRDD2019, #Myositis, #MyositisLIFE. Don’t forget to upload your photos to share with us. Clinical Trials 101: Understanding how clinical trials work to find the right fit for you. Session in partnership with Antidote Technologies. Session will be held via Zoom at 3 PM EST on February 27th. Must register. Here are some of the upcoming myositis and caregiver events. 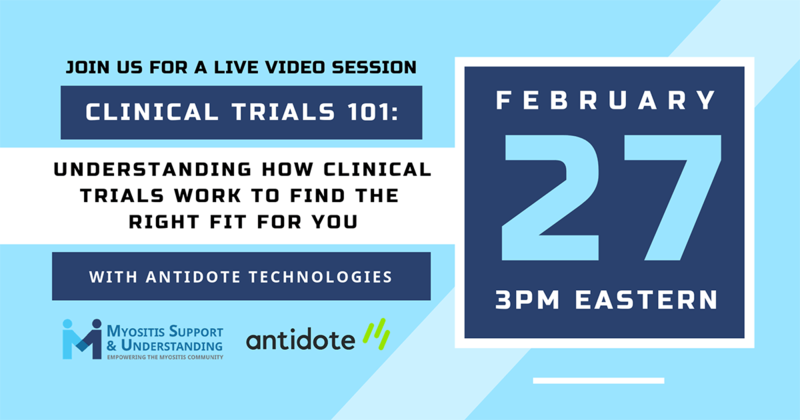 Join MSU and Antidote Technologies for an interactive, online video session, “Clinical Trials 101.” You will have the ability to ask questions and this will be a recorded event. Nothing speaks more volume than a video sharing your life or message of living with the rare disease, Myositis. Upload it to YouTube and share the link with us to post on our sites. We learn from the experiences of others. How has myositis, a rare disease, impacted your life? Write it and share it to be featured on our website and social media sites! Invite your friends and family members to a house party. You can order and share brochures, wristbands, pens, and info cards to help educate them. And, during the house party, have a fundraising contest for MSU. Search for RDD 2019 events in your area and attend, taking Myositis information cards and brochures to help promote awareness of our rare disease. You can order Myositis pens and wristbands to hand out as well! Visit our Shop page. Contact your local newspapers, radio stations, and television stations to do a segment about Rare Disease Day and Myositis. You can contact us for help with wording.